Almost every medical sales rep has one or more high-volume accounts who seem married to one of your competitors. No matter what you do, the customer won’t even consider the options you offer. You even lie awake at night, thinking of ways to steal business from the competition, especially if you have calculated the boost in income that comes with success. Converting big accounts usually takes time…or it can happen in an instant. It’s about creating an awareness for sudden opportunities and having a plan. Capitalizing on these sudden opportunities hinges on learning about them and being able to respond. And one of the most profound ways to steal business under these conditions is when you’re able to rescue a customer from an undesirable or unpleasant situation. You won’t know in advance when it’s going to happen, but you can be prepared with a plan of action. Here’s a case study from my orthopedic implant days. I enjoyed total hip business with a high-volume orthopedic surgeon for about a year. We worked well together and I did everything possible to make his surgeries go as smoothly as possible. One morning, I received a 6:30 a.m. call from Debbie, the orthopedic nurse coordinator where Dr. Williams did most of his surgeries. 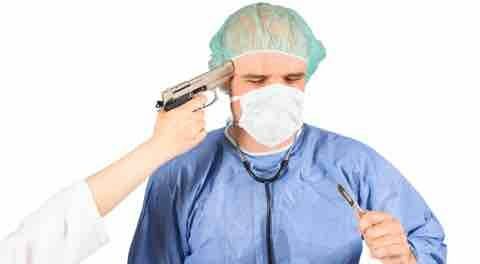 I had an 8:00 total hip scheduled with Dr. Williams so I thought the call would be about that surgery. I alerted the implant coordinator in my distributor’s office that I might need a set of knee implants pronto. She told me she would head to work early and get it ready for me. At 7:30, Dr. Williams stopped by the O.R. after finishing rounds in the hospital. I knew that Debbie apprised him of the situation when he started yelling several expletives about the orthopedic company and rep that failed to deliver his knee system. That was my cue! I said, “Great. Thank you.” Inside, I was dancing and high-fiving. This was the opportunity I had been waiting for. I called the implant coordinator in the office and asked if she could personally drive the implants to the hospital, as I didn’t want to risk a delay with a courier. She did. Figuring I had nothing to lose (and as I write this, thinking about Paul Romer’s famous quote: “A crisis is a terrible thing to waste”), I sought to capitalize on Dr. William’s pain before it went away. “Dr. Williams, you said you performed the knee replacement today in less time than it takes with your regular knee system. I’ll bring you some data to show improved range of motion and long term survivorship, but let me ask you this…if I consign a set of implants and instruments to each of your hospitals, you’ll know it’s always there. What happened to you today will never happen again. Will you consider that?” He said he would. It only takes one opportunity to land a big customer in your territory. Have a plan to learn about and capitalize on any opportunities if and when they occur. Act in the moment of pain! Eliminate the customer’s pain at that moment, but assure him / her in a tangible way that you can prevent it from ever happening again. Let your customers, and the staff that support them know that you’re always available to be Plan B. And make sure you develop great relationships with these people. If they like you, they’ll think of you when opportunities arise, just as Debbie did with me. Business is neither secure nor unobtainable. Dr. Williams said he would never abandon his total knee system. And Greg probably thought his total knee business with Dr. Williams was bulletproof. Yet, all it took was one careless oversight and a competitive rep coming to the rescue to move $700,00o worth of business. Don’t be complacent about the business you have or the opportunities that await you. In medical sales, what ultimately wins is the combination of skills, work ethic, reputation, relationships, and opportunity. Opportunities are often sudden and short-lived. Now is the time to sell your competitive customers on allowing you to be their back-up plan or Plan B. It’s not so much a question of if an opportunity will arise; it’s more a question of whether or not you’ll be prepared to act when it does. Have a plan, and never waste a crisis. FREE: TRY STRATEGIC POSITIONING instead of "DETAILING?" That is an absolutely great post. 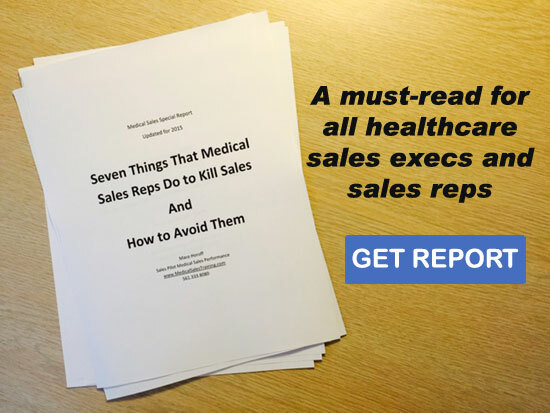 I have got a lot of info about driving Medical sales. I am also a medical sales professional and running a small business here in NC, USA. We sell refurbished infusion pumps, medical monitors and beds to hospitals across the USA. The info provided by you will really going to help me in driving more sales for my business.